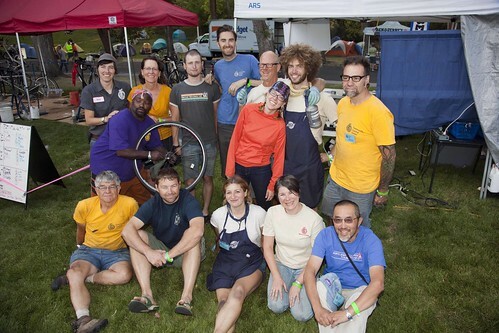 We are bummed, but mainly very proud, to announce that after five amazing years, our firecracker Development Manager, Breesa, is leaving the Community Cycling Center. Early next month, she’ll return to her alma mater, Reed College, as their new Assistant Director of the Annual Fund. Beginning in 2008, Breesa put her enthusiasm, smarts, and smile to work soliciting funding and in-kind donations from our generous community of supporters. Among many other accomplishments during her tenure here, she spearheaded the successful Bike Shop Expansion campaign in 2011 and introduced the Holiday Bike Drive Sneak Peek annual fundraiser and Transportation Trivia Nights, leaving behind a legacy of tamales and ridiculously difficult traffic signal questions, now integral components of our fundraising program. It won’t be the same here without her (well, no one else will demand participation in made-up Valentine’s Day office celebrations), but Noel, our Development Coordinator, will hold down the fort until we hire a new Development Manager. 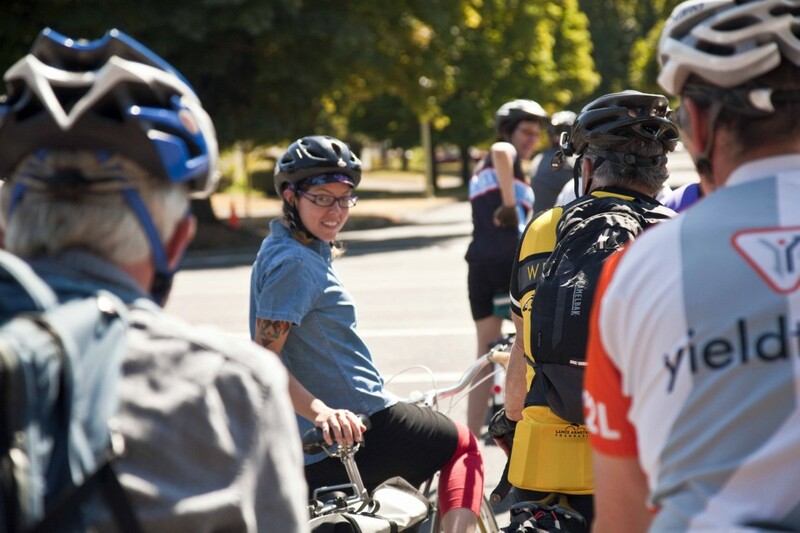 In fact, if you know any fundraisers passionate about social justice, health and transportation equity, and bicycles, please point them in the direction of this job posting. Bon voyage, Breesa! We’ll miss you. See you in the bike lanes.